Highlight of Chitwan Jungle Safari. Location: Central Nepal (Chitwan), Nawalparasi, Makwanpur and Parsa districts). National park declared year: 1973. National park area: 932 sq.km. World Heritage Natural Site: 1984. Major geophysical charactieristics: Churia, Bhabar, Chitwan Valley. 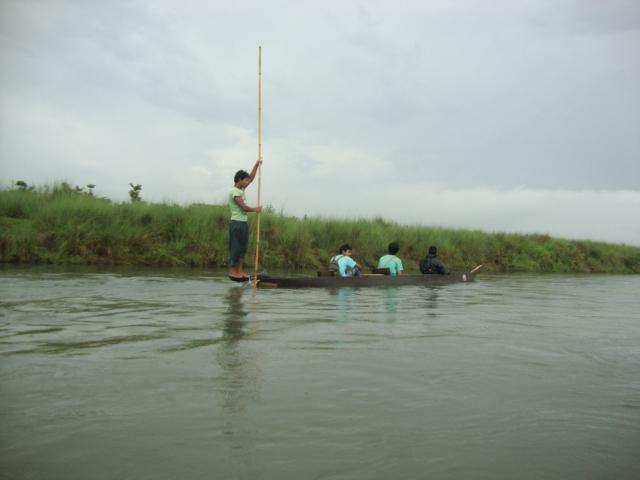 Major Rivers: Narayani, Rapti and Reu. Major Lakes: Tamor Tal, Lami Tal and Devi Tal. Main Mammals: Greater One-horned Rhinoceros, Royak Bengal Tiger, Gangetic Dolphin, Gaur and Sloth Bear etc. Main Birds: Bengal Florican, Lesser Florican, Giant and Hornbilletc. Main Reptiles: Asian Rock Python, Gharial Crocodile, Golden and Monitor lizard etc. Largest number of species: Tiger, Rhino, Gaur, Birds and Gharial Crocodile etc. Major destionations: Sauraha (touristic area), Madi valley, Kasara, Island, Padampur, Amaltari and Balmiki Ashram etc. Natural World Heritage Site since 1984. The second largest population of Greater One-horned Rhinoceros in the world. One of the National Parks in the world having more than 120 tigers in the same habitat. Home to Gaur bison, Gharial Crocodile, more than 6% of the world’s bird species. Ramsar site (Bishajari lake), Wetlands of International Importance. Elephant, Gharial crocodile, and Vulture breeding center. Churia hills and Madi Valley. 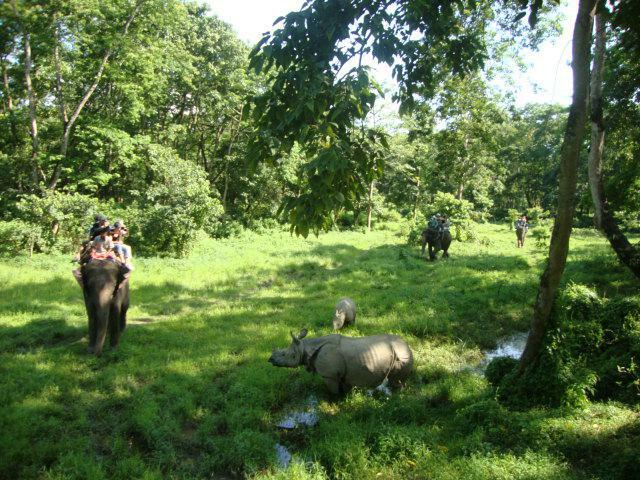 Chitwan Jungle Safari tops the list of things to do in Nepal now a day. It is a true wildlife adventure with Jungle Safari on Elephant or Jeep, Canoeing ride, Bird watching, and jungle walk etc. It is located in the south-central part of Nepal. 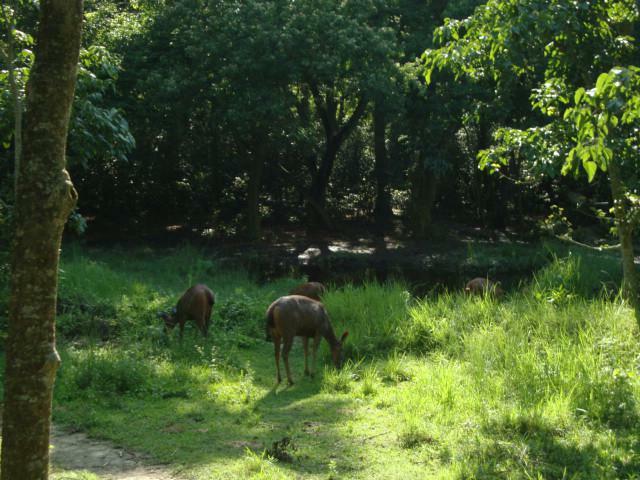 Chitwan National Park is established in 1973 and listed in the Natural World Heritage Site in 1984. It is the subtropical lowlands of the inner Terai. The park is spread across an area of 932 sq. 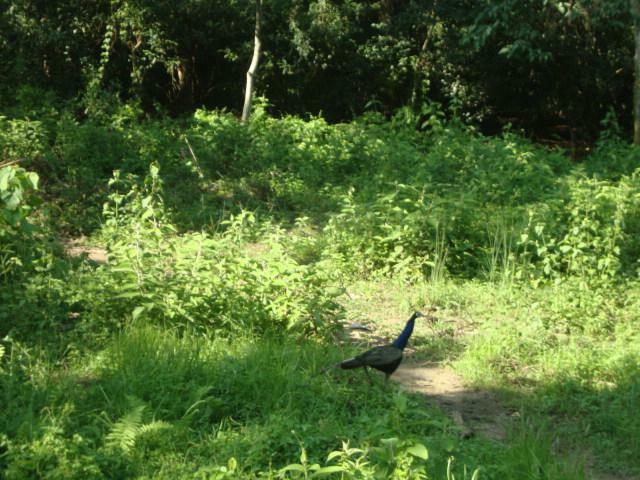 km that is the home of wildlife including Bengal Tiger, one horned Rhinoceros, Crocodiles, Birds, Butterfly, and others. It is a popular tourist destination in Nepal. But, it away forms the Himalaya and bustling Kathmandu. Even, it is a good place for relaxing after finished Everest or Annapurna Trek as well. Tharu Cultural Museum and Research Center. Wildlife Display & Information Center. How to getting Chitwan National Park? There can go to Chitwan by public or tourist bus or take a flight from Kathmandu or Pokhara. There are nine entrance gates to the Chitwan Park: 1) Kasara via Jagatpur 2) Ghatgain via Patihani 3) Bhimle via Maghauli 4) Khagendra mali via Bhandara 5) Sunachuri via Sunachuri 6) Sauraha via Tandi (Ratna Nagar) 7) Laukhani via Pragatinaggr 8) Amaltari via Danda 9) Kujauli via Rajahar. Chitwan Jungle Safari package cost is based on Hotel types that are located inside or outside of the park. Day 01: Kathmandu to Chiwant by tourist bus. Arrival and Welcome in Chitwan. Briefing by the lodge manager. Visit Elephant breeding Center, Museum and observation tower. Cultural dance program at 19:00. Meals includes: Lunch and dinner with tea/coffee. Day 02: A full day Jungle Adventure. Walke up call at 06:00. 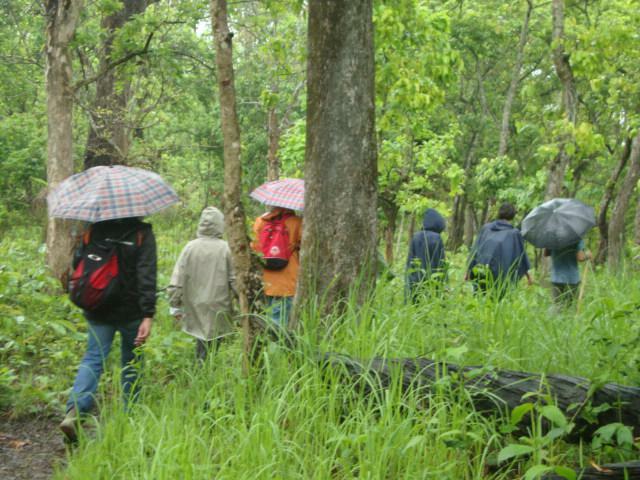 Canone/Jungle walk/Thuru Village tour, Elephant bath at 08:00 to 12:30. Meals includes: Breakfast, Lunch and dinner with tea/coffee. Day 03: Chitwan to Kathmandu by tourist bus. Meals includes: Breakfast with tea/coffee. Note:- Requset a costum itinerary. The itinerary can be changed for an interesting side trip an extra day (3nights/4 days) on client's request. 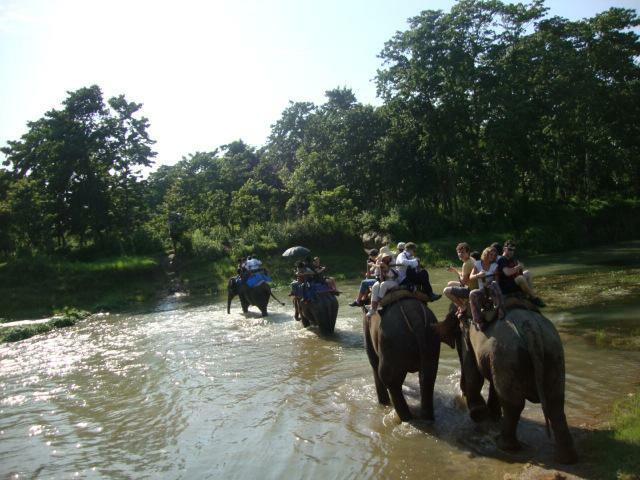 Do you have any question about Chitwan Jungle Safari? Or, would you like to see how it can be customized to your need? Please DM me. The trip cost is US$180 per person. Note:- We run the Chitwan Jungle Safari on your suitable date. The package program is available for 2 nights and 3 days or 3 nights and 4 days. You will travel to Chitwan from Kathmandu or Pokhara by tourist bus. Chitwan National Park entry fee. Meals: 2 breakfasts, 2 lunches and 2 dinners with tea/coffee etc. Two nights accommodation (standard single or twin bed room) in Chitwan. An experienced guide (nature specialist). Salary and Insurance for guide. Personal trekking equipment of clients. Mineral water, bolied water, coke, fanta, sprite, fresh or can juice, buscuit, beer and whiskey etc. Equipment list for Chitwan Jungle trip. Sport shoes. Two pairs of socks. Sandals. A fleece jacket, two short t-shirts, one long t-short, swimming costume, Sunglass, Sun screem, Sun hat and a light scarf. A Down jacket in winter (December to February). A day bag (25 to 35L). Note:- we have down jacket renting facilities for our clients. It’s a cost per down jacket $1 per day. The following are the reasons for trip booking with us. 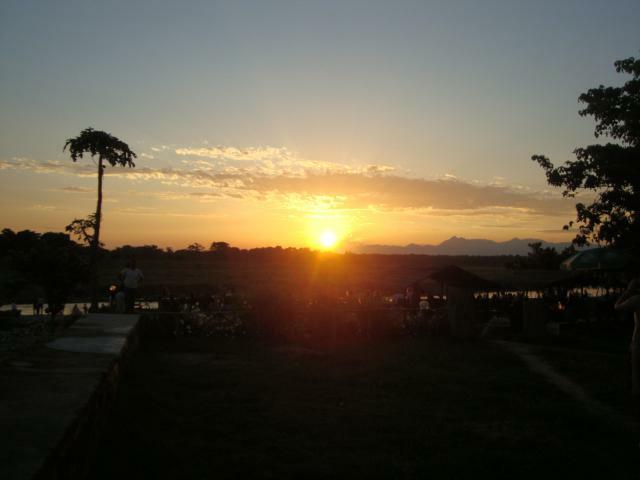 We do book the Hotel in Chitwan at the best location that is perfectly safe, jungle tranquility, mini river beach and sitting areas in the lawns offers great views of Elephant bathing, birds dancing and fantastic Sunset. You can even see Rhinos crossing the river from your verandah. Please read carefully the terms and condition to book a package trip. One you agreed with term and condition; payment is an unavoidable part of the agreement. The following are different methods of trip booking advance payments for your convince. Name of the Bank:- Everest Bank Limited, Thamel Branch. Name of Account Holder's:- High Camp Trekking Pvt. Ltd.
2) If you like to transfer the deposit by Western Union, MoneyGram, and IME, you can use our company owner/manager name:- Norsang Lama. Note:- please pay any amount charged to you by the Bank or Western Union, MoneyGram or IME for transferring the booking advance in money to us. Once you booked the trip with us, trip departure is guaranteed. In case you want to postpone trip departure date, do not need to pay an extra fee. We never let you down after we received payment. We do hard work for every single dollar. Our package is with all-inclusive prices (no hidden cost). We customize the trip itinerary based on your interesting side trip, holiday's length and activities as you need. Lets us know your holiday's length. Our experienced, trained and professional guide takes good care of the clients. Our guide never tired of your questions about plants, people, and animals and, of course, the mountains. You can feel the difference between having a great trekking guide through our agency. We response every email/inquiry in less than 24 hours. You can call us anytime at +977-9841876395 (24 hours support team). Note:- There are more similar to our name of other agencies. Please remember that we are High Camp Trekking. 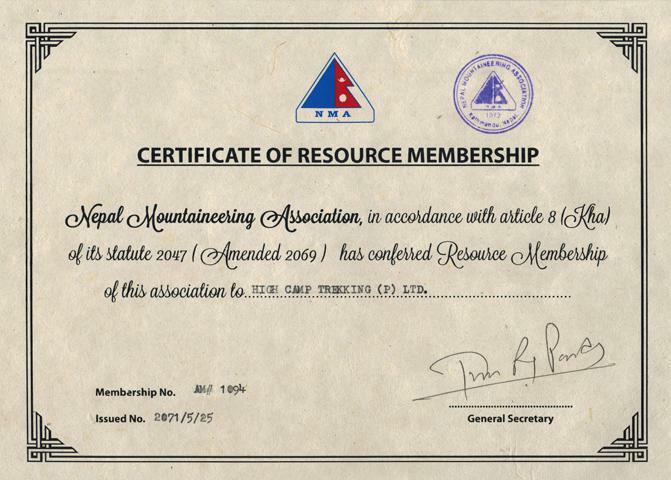 We are registered and authorized by the Government of Nepal to organize hiking and mountaineering expedition in the Himalayas of Nepal. High Camp Trekking Pvt. Ltd.